Everyone loves to discover something that little bit different when they're exploring, and part of the fun is finding out that people from 200 years ago weren't really all that different from us, even if they did have some rather odd beachwear fashions. Greater Yarmouth celebrates it's cultural heritage with an unusual retro, rather kitsch but very cool seaside vibe, adding a suprising element of fun to the heritage mix. 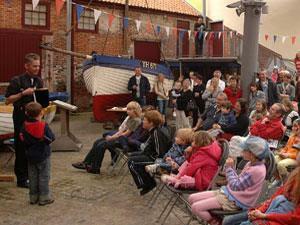 Head to Great Yarmouth's Victorian and Edwardian seafront for unique heritage fun by the sea. Visitors can ride the oldest operational wooden rollercoaster in the country, one of less than 10 in the world to be ridden every time by an on-board 'brakeman' who controls the speed of the train, at the Pleasure Beach at the southern-most end of the seafront. The beautifully painted Scenic Railway was built in 1928 and moved to the park in 1932 having been bought at the Paris Colonial Exposition by the then owner. Pop-pickers will be interested to know that Madness recorded much of the video for their song 'House of Fun' at the amusement park in 1982. 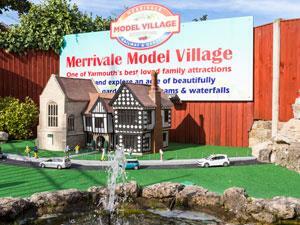 Just next door, Merrivale Model Village is another cultural heritage icon, where the seafront's oldest tea room, built in 1903 and featuring a stunning copper cupola, continues to serve refreshments to this day. Opened in 1961, the model village features all sorts of minature scenes, with beautiful landscaping and an 'N' gauge model railway.Generations of families have enjoyed the gardens and the cool mini-models posing in all sorts of scenes. On your way to the tea room, buy a bag of old pennies in the gift shop and enjoy Merrivale's unique old penny arcade, housing a fabulous range of vintage slot machines dating from the 1920s to 1960s. Put your old-time penny in the slot and crank the handle, ping the lever or shoot the ball. You can have hours of fun with the ingenious mechanics and amusing games trying to work out how the machine operates. At the other end of the seafront near Britannia Pier, children's fun park Joyland opened in 1949 and has been owned and operated by the Cole family ever since. Engineering entrepreneur Horace Cole designed the world famous Snails and the now unique Tyrolean Tubs and built them at the family engineering works, H Cole & Co, on Steam Mill Lane in Great Yarmouth. The snails have developed an almost cult following, and whilst there have been minor alterations to the track layout of the Snails and Tubs, the rides basically remain as Horace intended them and have been ridden by generations of families over the years. The seafront has two piers, Wellington Pier, originally built in 1853 and The Britannia Pier, which opened in 1858. Both have had fraught histories involving fires, anti-invasion measures during the wars and complete rebuilds, but are fully operational today. Britannia Pier is a truly retro seaside pier with fairground games along the wooden boards, a traditional theatre with showbar and a fun fairground right at the end. Wellington Pier has a large amusement arcade and as you get onto the wooden boards of the pier, a large, airy ten-pin bowling centre with floor to ceiling windows looking out over the beach and the sea. Possibly the epitome of seaside kitsch, the Hippodrome Circus is a building of outstanding importance, designed by R. S. Cockrill and built in 1903 by George Gilman. There are only two purpose-built permanent circuses still in full working order in Britain and perhaps only three or four pre-1950 circuses in the world. This is a true Hippodrome, with incredible acoustics and a traditional sawdust ring which is flooded for water spectacles as part of most performances, thanks to some ingenious Victorian engineering. 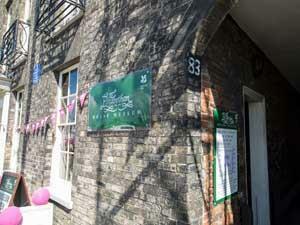 The Grade II* Listed building also still has its original stables and outbuildings which Peter Jay has filled with an amazing collection of circus memorabillia. Animals haven't been part of the circus show for many years, however the building has seen some amazing performers over time: Lloyd George held political rallies here, Lily Langtry sang, Little Titch clowned, Max Miller joked and Houdini escaped. Today, fantastic circus performances featuring international artistes take place at Easter, summer, halloween and Christmas. The witchfinder general, Matthew Hopkins, came to Great Yarmouth in 1645 and five women were hanged for witchcraft, having first been jailed in The Tolhouse, now Britain's oldest gaol. A number of alleged witches escaped the death sentence in Great Yarmouth, only to flee to Salem in the USA ... which turned out not to be their best choice of holiday destination.